Blueberries rule my universe right now; still fairly plentiful and still sweet. The flavor can’t be beat. My guy loves them and I have to agree; they are the tastiest and healthiest fruit. I am in love with these tartlets. The crust to fruit ratio is perfect and I made them with a minimum of sugar as these ripe berries are already quite sweet. I got my fruit at Aldi’s for a great price; every grocery store has blueberries by the pint. They are very good for your body; full of fiber, low in sugar, and full of other nutrients. They are especially you have blood sugar issues. See http://www.medicalnewstoday.com/articles/287710.php for more information. 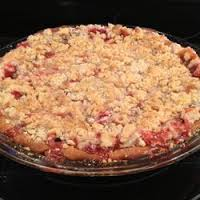 Put all four ingredients in the same mixing bowl you made the bottom crust in and mix well with mixer paddle until crumbs form. If you let them go extra long you get big fat crumbs if you want that look. Note: the crust and crumb recipe are out of Annalise Roberts cookbook, Gluten Free Baking Classics, Second Edition. Adaptation and filling recipe are mine. Originally posted summer of 2017. No changes made to recipe. Blueberry Crumb Pie – Delish! Somehow I haven’t ever shared my recipe for blueberry pie. I went to repost it and found no post! And as it is blueberry season and I just made a gorgeous blueberry pie this weekend I was feeling the need to share. Plus 2016 is my year of pie and I feel that compulsion to give you another fantastic pie recipe. This is really easy to create. Slice and dump together the filling, crumb topping gets quickly made by dumping ingredients in the mixer bowl you used for the bottom crust. 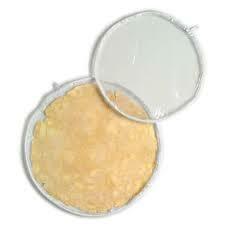 You can store any leftover crumb mixture in a sealed container in the fridge; it keeps a few weeks. This GF crumb topping is perfect for most any fruit pie. Bake and enjoy summer in a pie in just a few minutes of work. Don’t eat it piping hot; it should be cooled to room temperature. You could certainly serve this with vanilla ice cream or any other vanilla topping. Sprinkle the top of the pie with crumb mix; use as much as you like. I like about three quarters of the mixture. Up to your personal taste… It sinks partially into the fruit mixture and adds lots of sweetness and eye appeal. Bake in a preheated 375 degree oven for 50 or so minutes until the blueberries are bubbly and the crumb crust is light brown. I put a piece of aluminum foil on top for the last ten minutes if the crumbs are getting too browned. Cool at least 2 to 4 hours before serving at room temperature. I think it is best served the same day you make it, or no more then 12 hours after baking for optimal flavor. The crumbs will get soggy if too much time passes. Note: if you find your bottom crust is not browning enough bake it empty at 375 degrees for ten minutes before filling it with the fruit. I am lucky to have a bottom heat pizza style oven which gives me perfect pie crust so I don’t ever have pale pie crust. The crust and crumb recipes are from Annalise Roberts great cookbook, GF Baking Classics, Second Edition.